A foilboard (also known as a hydrofoil board) is a surfboard with a hydrofoil that extends below the board and into the water. At high speed, this causes the board to rise above the surface of the ocean. 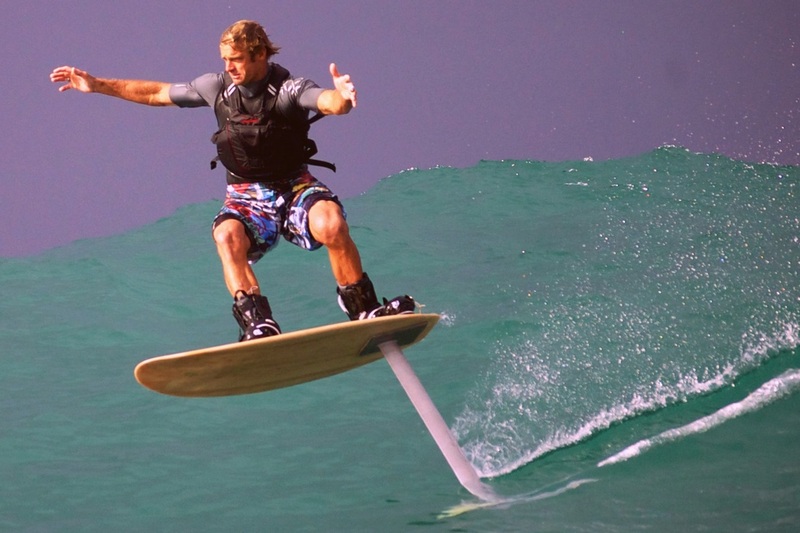 In order to catch large waves, foilboards are first towed into the wave by a boat or Jet Ski, after which the rider releases the rope and surfs the wave unassisted. Foilboards may also be propelled using a kite. How Much Does A Foilboard Cost?